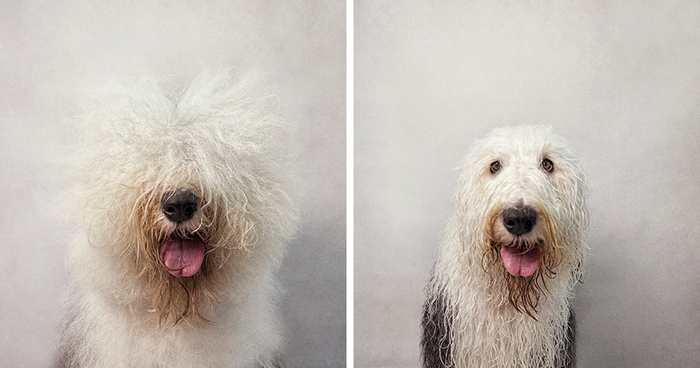 When award-winning animal photographer Serenah Hodson bathed her dogs, she noticed how their personalities (and, of course, their looks) change before and after their bath. 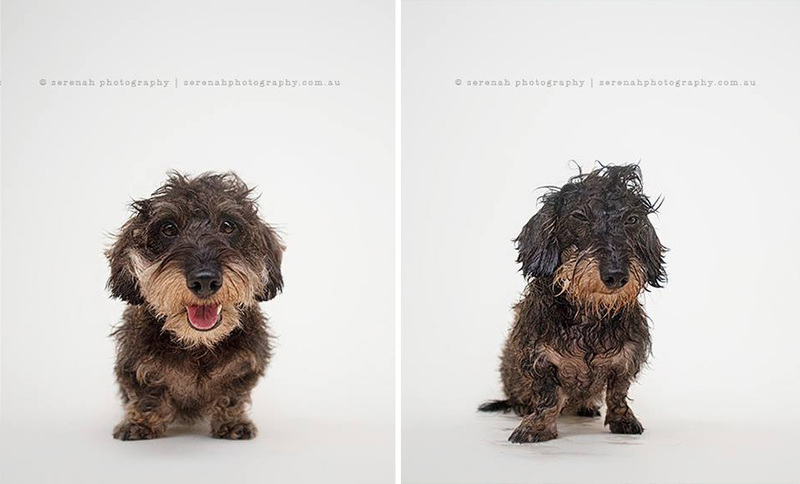 This observation inspired her to create Dry Dog Wet Dog, a series of portraits comparing dogs before and after they’ve taken a bath. 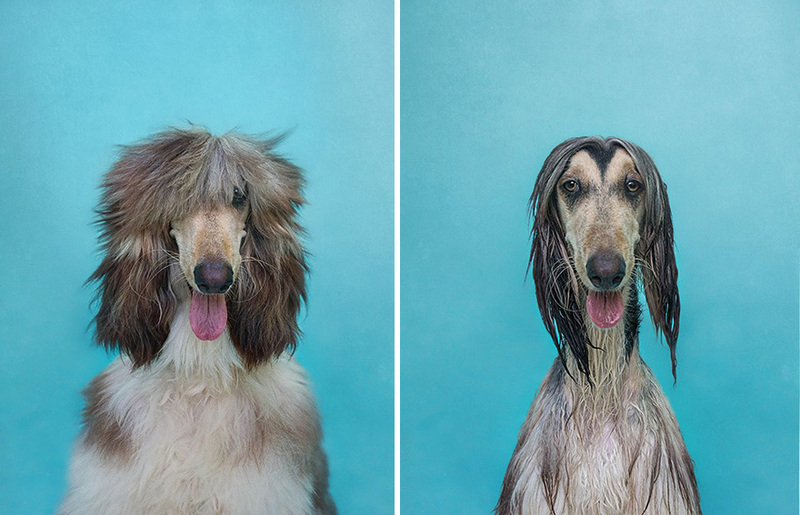 Her idea does make sense, because other photographers (namely, Seth Casteel, Sophie Gamand and Carli Davidson) have also found that dogs + water = photo magic! 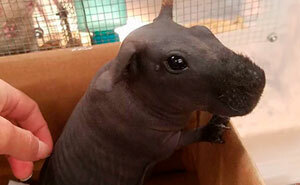 The first dog's hair when dry is more fabulous than my hair will ever be, lol. 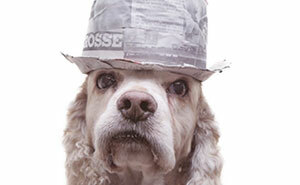 the first dog, looks like ,,Bon Jovi"